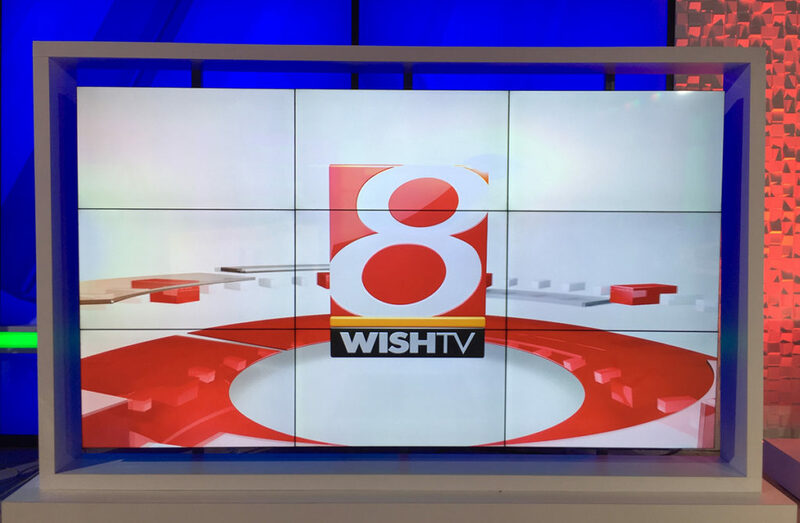 WISH, Indianapolis‘ CW affiliate, has unveiled a dynamic new set that blends multiple applications of video panels and other technology to create a look dominated with clean lines, typography, textures and layering. 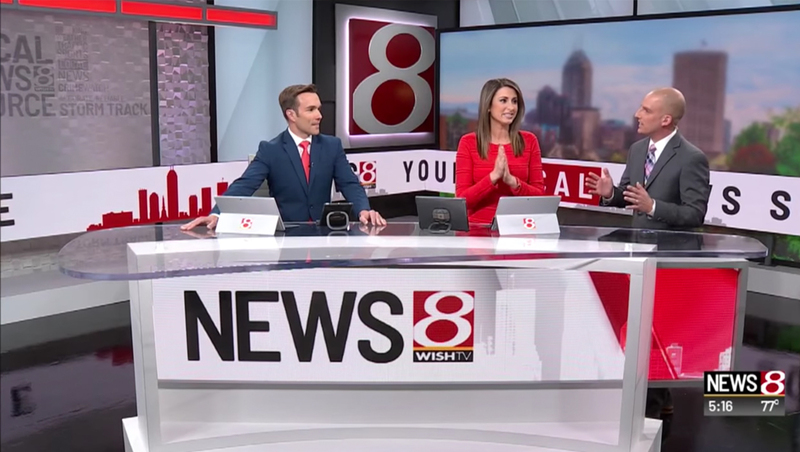 The station, which swapped its CBS affiliation with WTTV in 2015, now produces nearly 70 hours of local news per week. 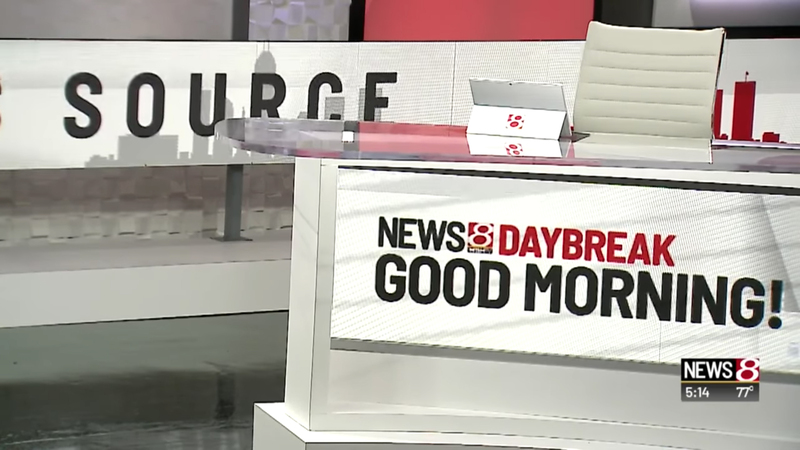 Positioned in one corner of the studio is the station’s primary anchor area, which features seating for two as well as debrief locations on either side. Fronted with a video ribbon, a dimensional WISH logo appears on one wall of the corner while a video wall on the right can be configured to showcase cityscapes or other imagery. Placed in front of this video wall is an LED video ribbon that turns at 90-degree angle in the corner and is mainly used for ticker-like animations with the station’s branding mixed with silhouettes of the city’s skyline set on white backgrounds with black and red accents. This corner’s background also includes color changing backlit panels and textured wall paneling with frosted glass panels etched with station branding.